Finished is the word for Mark’s hats! Aunt Geri here with a pic of the last two pieces – we are excited to see how Mark and his family like our little goodies. 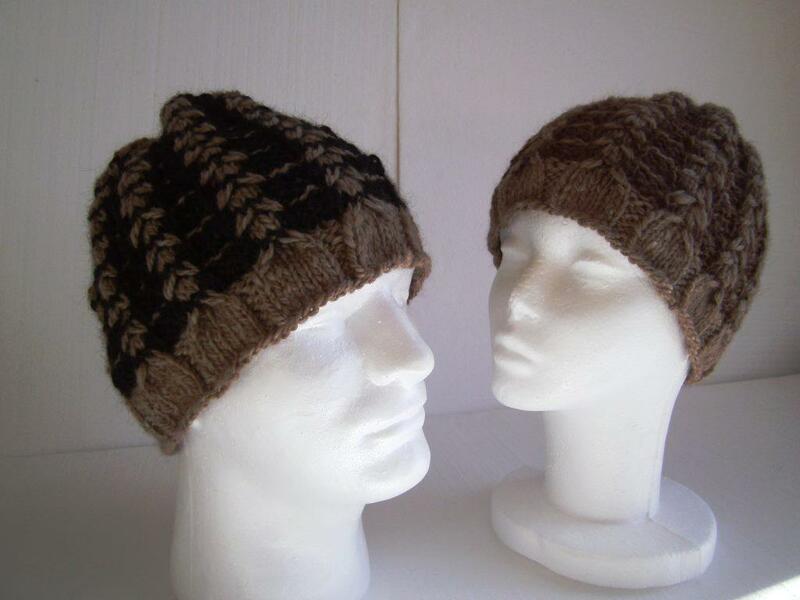 I tried a new design, and I only had to rip out 1 1/2 hats in the process – a complex stitch pattern (a winged cable). I’ve learned it’s best to minimize distractions when beginning a new stitch! Just chalk it up to practice, I’m whipping through this design now. My supply of Mark’s alpaca yarn was running low, so I used a lovely yarn that Kirstin spun some time ago for the main color (fawn). 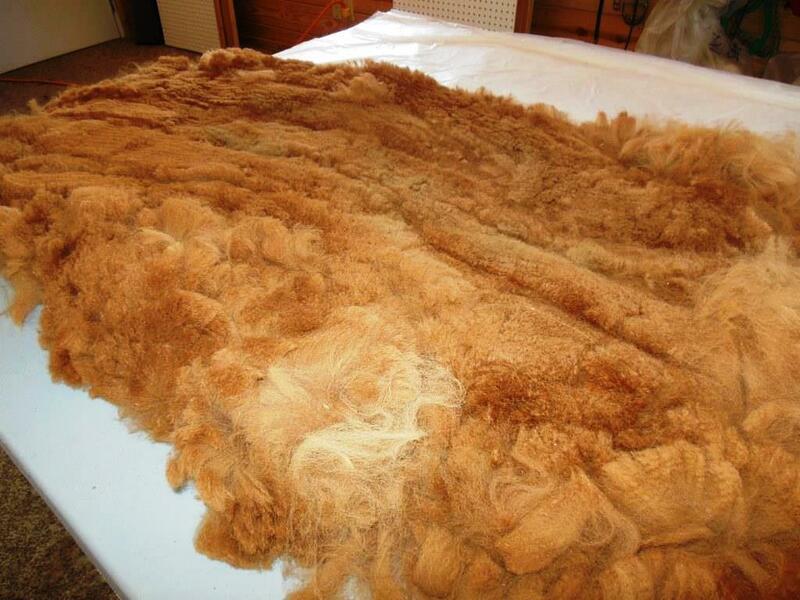 She named it “Caramel Crème”, as it’s Cliff Houses’ Tulip blended with merino wool and bamboo silk. The black yarn is a blend of superfine alpaca with merino wool and silk. These hats are fairly beefy, and I’m liking the look! 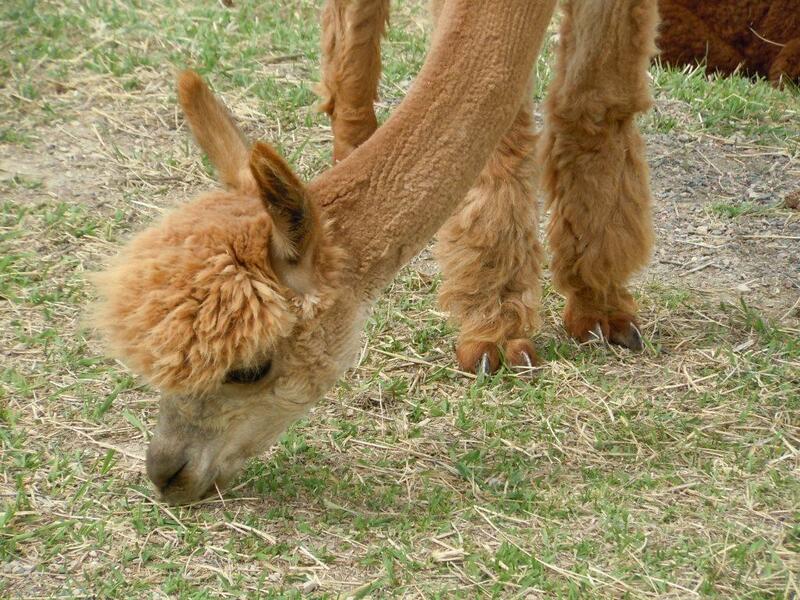 This entry was posted in animals, Fashion and tagged alpaca, alpaca yarn, animals, Aunt Geri, fiber, fleece, handspun yarn, hats, Kirstin, knitting, Mark, merino, yarn. Bookmark the permalink.